Hey beauties, today we’re are getting into my fourth and final ColourPop Zodiac Palette tutorial. I thought it would be fun to make individual posts themed around the Water, Earth, Air & Fire elements associated with the Zodiac signs. I’ve linked the other three tutorials for you if you’re interested in checking them out. My favourite is still the Water look I did, which is really no surprise because my scorpio sign is a water element! In this post I’m sharing an Air element inspired makeup tutorial, I hope you guys like it! Once again I’m sorry these tutorials took a while to get to you but life is craaazy right now. I’m on a twelve day work stretch and not too happy about it, that’s way too many days in a row. It’s been a little bit hard to find time to film videos and photograph looks so thank you for bearing with me. The Gemini is absolutely stunning. This shade is amazing, it’s one of the best shades in the entire Zodiac Palette. This shade is just so smooth and so metallic, I’m in love with it! The Libra is a lovely pink matte shade. I like to use it as a transition shade but you can also use it as a lid shade. The formula is very smooth and blendable. The Aquarius is an air sign! Who knew? I thought that Aquarius was a water sign because KL named a shade in her Dream St. Palette “Water Bearer”, but Water Bearer actually means that Aquarius is good at supporting emotions (represented by water). Intersting. This shade is a beautiful cobalt blue but it’s a little bit dry and not as smooth as the other mattes in the palette. It’s buildable though! Step #1: Sweep the shade The Libra through the crease on a fluffy blending brush. Step #2: Using a smaller blending brush sweep The Aquarius through the crease. This shade may need some building so take your time. Step #3: Apply a small amount of the shade The Capricorn to the outer corners of your eyes and blend blend blend. Step #4: Cut that crease with some concealer and pack the shade The Gemini all over the concealer. Where the concealer stops apply The Aquarius on a flat packing brush to blend those two shades together. Are you an Air Sign? This look is so gorgeous!!! 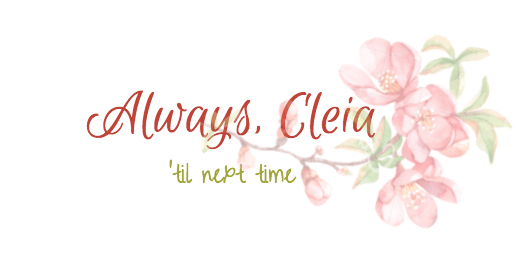 I love this look so much, Cleia! The palette is just gorgeous, and your makeup looks are always super pretty!! 💓I forget that Aquarius isn’t a water sign too lol! I think that’s the sign right before me, cause I’m a Pisces. Thanks Nunzia! 😊 this palette is so fun to play with, it really makes me feel creative! Thanks Nova! I haven’t forgotten about your Zodiac Challenge, I’m planning on doing that on Instagram soon! Thank you lovely! I want some of the lipsticks they teased for the upcoming Disney collab. Colourpop has soo many new releases all the time, I hope you love the palette when you order it! I am an air sign, we’ve had this discussion before! 😛 I really like how you outlined your eye with that kind of smokey, blue shade 🙂 yay for finishing your 12 day stint at work! That’s such a pretty look, I love the shade gemini a lot!! The palette in general is very pretty!